10 things from Veere Di Wedding which every bride-to-be will relate to! Why Veere Di Wedding is a movie every bride will relate to? If you are a 2018-19 bride-to-be this movie is must-watch before you tie the knot with your beloved. Because it’s not your usual cliche Bollywood drama, but all things and moments a modern bride of 2018 can actually relate to. Believe me when I tell you it’s everything you have been waiting for! This film shows the journey that a girl goes through from being a fiance to a bride! From the very moment she says ‘yes’, it gets all about her ‘transition’ into her fiance’s family - what to do, what to wear, where to go, what to say, who to talk to & not talk to, etc etc. Let’s face it, the journey from your engagement to your D day is no piece-of-cake! ….is not going to be an easy time either! When 'bridezilla' takes over, you’ll have to be a lot more patient and trust your bridesmaids to help you through it. 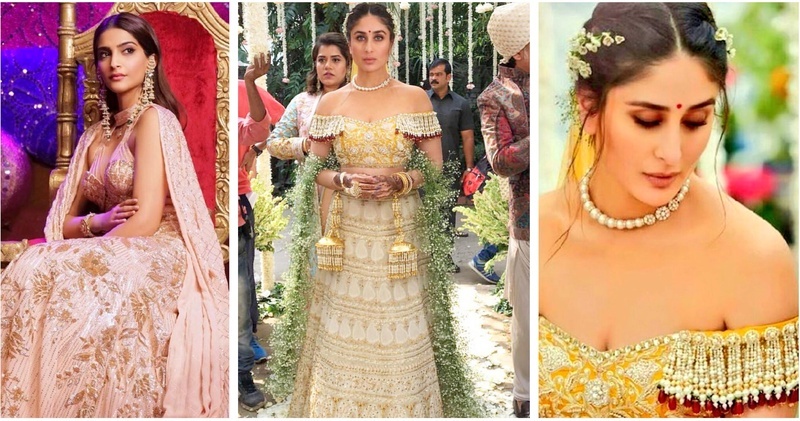 Kareena could definitely not have got married without her 3 besties beside her! It’s 2018 for god sakes and the movie rightly says ‘one should get married for the right reasons’ and not just because your parents think you should! Times have changed for the strong willed, independent girl of today – she’s evolved from Geet to Kalindi, where she knows she’s her own hero! So if you feel you should get married in a simple wedding affair with just 200 guests, do it! Often a big-fat-desi-wedding becomes what your extended family wants rather than being a reflection of you and your fiance’s tastes and interests. It’s SO much about ‘other people’ and what one needs to “show to other people” . I dunno if it’ll change your family’s outlook about it, but here’s hoping you take a second to think whether all the ‘Show-sha’ is still about you as a couple or just societal pressure? While you are busy with the rituals, your friends will definitely be having the time of their life, drinking like dogs, flirting with guys and obviously dancing because their hearts out because ‘you’ are getting married! Your friends and cousins might get seriously hammered and I suggest just keep some hangover remedies ready! Your friends will literally be there with you through the good, bad and ugly. So even while you’re on the look out for Mr. Right, or planning your wedding with your Prince Charming, these people are often just… well, there. And that’s what counts. You will find it real hard to take your eyes off the sangeet and wedding outfits! Kudos to Sandeep Khosla for creating one of his best works till now! Pastel dresses for a ‘Day wedding’? YAY! She looked absolutely regal as a bride - the braided hair with flowers, the minimal makeup, the pearl necklace and the stunning off shoulder blouse by Abu Jani Sandeep Khosla is #bridalgoals ! So in totality, Veere Di Wedding definitely lived up to being the ‘Wedding movie of 2018’ and no bride should miss watching this movie, for whatever reason!